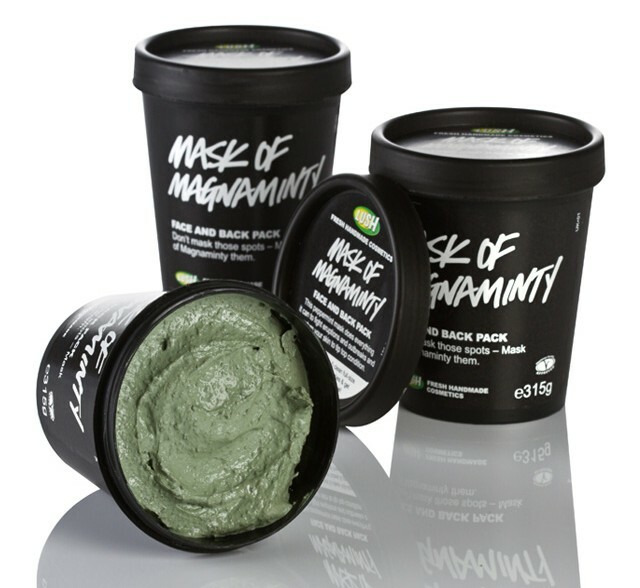 After trying the blueberry Catastrophe Cosmetic mask (review) I thought I would give this a go. The Mask of Magnaminty costs £4.75 for a 125g pot, this is what I have as I thought it'd be best to try it with a small pot first. I have used this twice so far and I've still got a lot of left so I can see it lasting for over 10 uses. Which is pretty good value - especially in comparison to the fresh face masks. "Deeply cleansing, toning and exfoliating, pepperminty masks. Refreshes and brightens all it touches"
Peppermint oil -stimulates blood and gives cooling feeling. First thing I noticed as I put it onto my skin was the smell - pepperminty which made it very cooling on the face and it stays like that, a bit tingly, until the mask dries. It applies very easily, much better than the catastrophe cosmetic (review), and is easy to spread evenly onto the face (or just trouble areas)- I used my fingers for this. Its a strong green colour so does look a bit scary when applied but it dries nicely without flaking and it turns more of a grey-green. My skin was left smooth, soft and refreshed. The good thing about this mask is that despite being aimed at oily/blemished skin it doesn't dry out your skin but leaves it feeling really nice. As for reduction of spots, I think it takes time, its not instant and because it brings them to the surface after just one use your skin might actually be worse but I feel like with continued use it would benefit the skin.